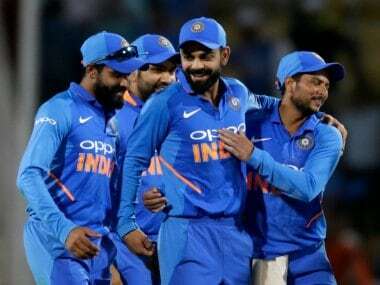 Port of Spain: Captain Virat Kohli will look to put to rest, all the off-field controversies regarding Anil Kumble's controversial exit, as India gear up for the first ODI against a second string West Indies in Port of Spain on Friday. Ironically, it was the Caribbean Islands, where Anil Kumble's journey as the chief national coach started but within a year, the team is back without its coach. 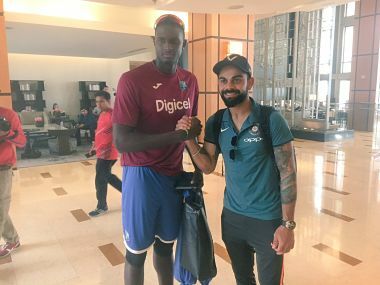 Skipper Kohli, whose much publicised difference of opinion with coach Anil Kumble, has grabbed the headlines more than team's performance in the Champions Trophy, couldn't have asked for a more convenient opposition than the West Indies, which even struggled against minnows Afghanistan. A cluster of big wins in the five-match ODI series and single T20 will help Kohli divert the unnecessary attention pinned on him with many ready to make him the 'fall guy' in the entire Kumble episode. This will also be an occasion when Kohli will have complete freedom in team selection as batting coach Sanjay Bangar is not known for giving any tangible inputs save giving throwdowns to the senior players of the side. 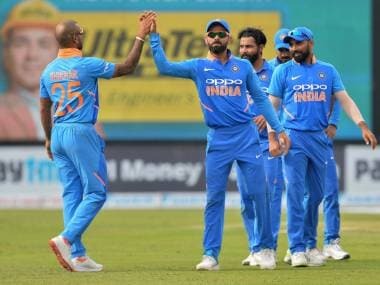 With Jason Holder's men just about managing to draw the three-match ODI series against Afghanistan 1-1, there is no doubt that the current Indian team are a few notches ahead in terms of quality. Even Kohli knows that well and with BCCI top brass backing him on the Kumble issue, the margin for error is very little for the Indian captain. A 5-0 whitewash is something that is expected against a side that has a cumulative ODI experience of 213 matches between 13 players with skipper Holder as the most-capped player with 58 matches to his name. Compare it to a whopping 776 matches collectively between Yuvraj Singh (301), MS Dhoni (291) and Virat Kohli (184), the stark contrast between the two sides is so very distinct. 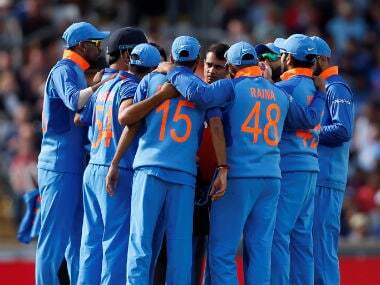 For India, this series is also an ideal platform to test the team's bench strength. 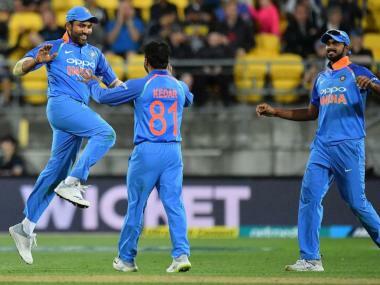 With Jasprit Bumrah being rested for the series, it will be an ideal opportunity for the captain to check out Mohammed Shami, who did not get a game during the Champions Trophy. The pacer has not played any official ODI since the 2015 World Cup semi-final post which he had multiple surgeries and played a few Test matches only. Shami will be keen to regain his place in the ODI XI and West Indies gives him a proper chance to do so. With Rohit Sharma also cooling his heels for this series, Kohli may be tempted to bring back Ajinkya Rahane at the top of the order. Rahane has not been in great form in limited overs of late but as a reserve opener, he might get a go. The other option is to try out young Rishabh Pant, who has had the experience of opening for Delhi in domestic cricket. Pant is an explosive player and can make good use of the first Powerplay when only two fielders are outside the 30-yard circle. Also with the Indian selectors planning to groom him as Dhoni's successor, one might see him being given adequate chances. The other youngster in the squad, chinaman Kuldeep Yadav may also fancy his chances after West Indies failed to read conventional leg-break bowler Rashid Khan. Kuldeep may be tried in place of either Ravichandran Ashwin or Ravindra Jadeja — both of whom have been ordinary during the ICC Champions Trophy.